Do you have questions about community sponsorship, or anything related to the Community Refugee Sponsorship Initiative, please do get in contact with us. I am a journalist/media representative seeking comment or further information. I am an individual or community group interested in sponsoring a refugee. I represent an organisation that is interested in joining/supporting this initiative. I have a general enquiry/question. We'd encourage you to provide us with your details via our main sign-up page as the best mechanism to indicate your support. 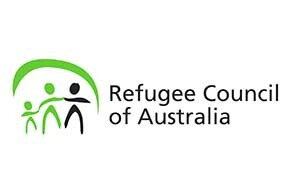 Please indicate the name, purpose and location of your organisation and what level of support you can offer towards the Community Refugee Sponsorship Initiative in your message. Whilst we welcome all the support we receive in relation to this initiative, all requests to formally join the Initiative will require the approval of our steering committee.